Okay, so my son Cole who’s turning 6 next month had his party all planned out for me and for the next 3 years from now. He told me that for his B-day next month he wants to have a Star Wars theme birthday party… So of course, I told him sure we can do that. The problem is, my house is not big enough to have 20 kids in my house. So I need to find a place soon if I’m not doing it in my house..The problem is where. We have a clubhouse that we can use, but that means we have to rent it and that cost $200. There goes my money for the food. I need to think about this on how to go about it. Maybe park? will see! need to research more before I migrate.. Since our launch we’ve gotten a ton of feedback… and even more tickets, requests and emails than we ever imagined! Our amazing Support Heroes have been feverishly busy, so if you have a basic question and would rather not wait, please join us online. Excited? Nervous? Can’t find the right button to get what you want? Tune in for a one-hour introduction to the new options and tools on your SmugMug website. We’ll touch on migrating, choosing and editing designs, how to customize and how to use the new site organizer. Friends, photographers, cameramen, have we got news for you. This morning, we pushed the button on one of the most exciting things we’ve ever built: a whole new SmugMug. We’ve dreamed about bringing you this kind of incredibly beautiful, powerful photo experience from day one and we hope that no matter what you do and who you are, you’ll love it, too. We razed the walls, stripped the wiring and built a better, stronger SmugMug from the ground up. It looks better, works better and (if we did things right) it’s more intuitive and easy to use. You’ll notice a brand-new look and feel that showcases your photos more beautifully than ever before. We’ll notice that it’s easier to bring you lots of new features in the coming years. right after I revamped my website… So sad….Wish knew before hand. 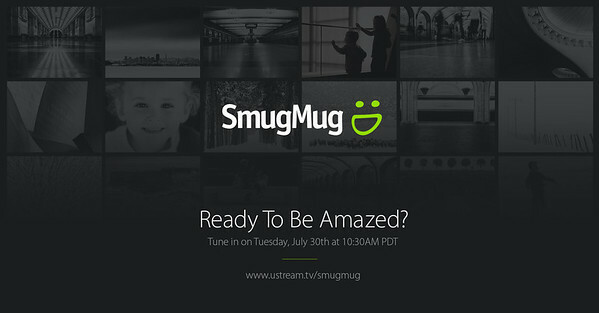 In seven days, on Tuesday, July 30th at 10:30 a.m. PDT, we’re unveiling the new SmugMug. We will be streaming our announcement live and direct from our headquarters in Mountain View, California. Join us for a 30-minute webcast with our CEO and Chief Geek, Don MacAskill. 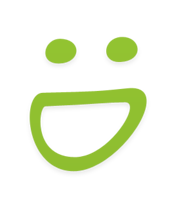 See the new look, catch a live demo, and be a part of the biggest launch since SmugMug started in 2002. We’re so grateful you found us. Thank you for entrusting us through the years with your priceless photos. We consider you part of our family and can’t wait to show you what we’ve been working on. We think you’re gonna love it. Last month, we highlighted some widgets and hope you’ve since activated them! Today, let’s continue our widgets tour and focus on several that put the spotlight on the readership you’ve built. Your site isn’t just about you or your organization — it’s very much enriched by the community around you. The Follow Blog Widget lets your visitors sign up to receive your posts via email — it’s one of the easiest ways to ensure your readers see your new posts. Under Appearance → Widgets, drag this widget to the right. In the settings, you can customize the messages that will be displayed, the text for the “Follow” button, and decide whether you want to show your total number of followers (which is the sum of users following your blog and others connected from Publicize services, like Facebook and Twitter). Another HDR, I’m totally doing HDR.. They are awesome. More to follow. Love that HDR on this sunset. I’m loving these camera, they are awesome, and I happen to inherit it. Really LOVE it.